2. Decide what you want to concentrate on. 3. Watch other people concentrating. Go see a good action movie. In the middle of it, look around at the people in the theater. What are they doing? They are absolutely still, eyes barely blinking, and their breath is slower. It would take a really major distraction to break their attention stream. These physical signs may give you a hint about ways to increase your own concentration abilities. 4. Avoid constant sensory input. Multi-tasking (trying to do more than one thing at a time), loud noises, and visual stimulation (such as from a T.V.) 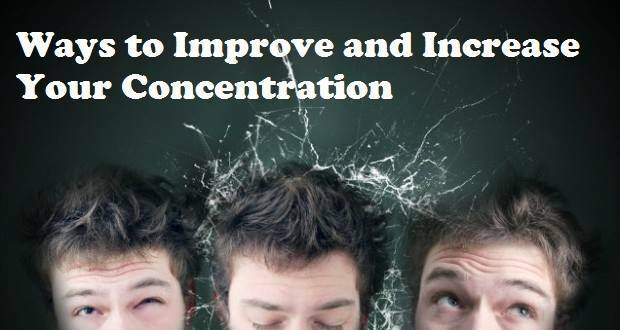 make concentration much more difficult, and being around them or doing them too much can put you into a habit of non-attention which can be hard to break. 5. Make it a point to put your full concentration on whatever you are doing. Don’t let anything distract you. It really helps to be in a quiet place, but you can learn to block out noise if necessary. Deep concentration is a matter of increasing or directing your life-force or conscious, cosmic energy. The more of this kind of energy you have, the better. Scattered energy doesn’t help. It must be calm, focused energy. Learn to be calmly concentrated and be concentratedly calm. 7. Learn techniques to increase and control your energy. One such technique is Paramhansa Yogananda’s Energization Exercises. Controlling your energy is an important first step toward the ability to concentrate deeply. Go outside and breathe deeply or take a brisk walk. Make yourself do this often and you’ll be able to return to your task recharged and ready to focus more creatively. Meditation is the most powerful of all concentration enhancement techniques. Learn a few simple meditation techniques and practice them at least five minutes daily. 10. While meditating, watch your breath — don’t control it in any way, just observe. This teaches you to focus your mind on one thing at a time. As you observe your breath, it will slow down, along with your mind (this is a scientifically well-documented), and you move into a dynamic, peaceful (but not sleepy) state of being. Your mind will become recharged and creatively receptive.